Why did you choose galvanized steel? I was told by a few different pro welders that you never want to use galv tubing or sheet for fabrication/welding. They say it is not possible to remove all of the gasses and can not provide a good weld. The slag it produces is a white soot and will almost always produce a cold weld because the escaping gasses are considerable more than your sheilding gas. 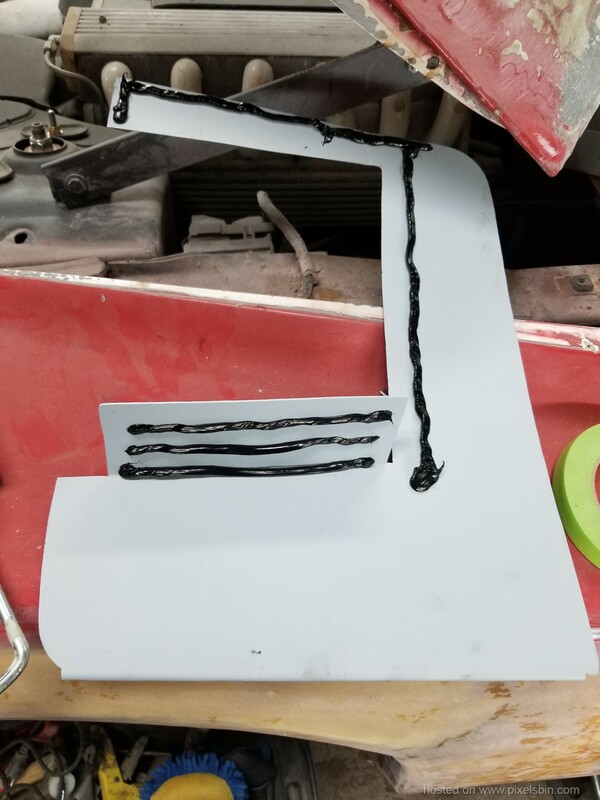 The slag it produces is a white soot and will almost always produce a cold weld because the escaping gasses are considerable more than your sheilding gas. Not to mention welding galvanized steel releases zinc oxide fumes which are poisonous. Last edited by Bloozberry; 10-10-2018 at 05:29 PM. Last edited by Minihawn; 10-22-2018 at 05:43 PM. hey there dominic, sorry for the lapse of updates. I have several builds going at the moment. 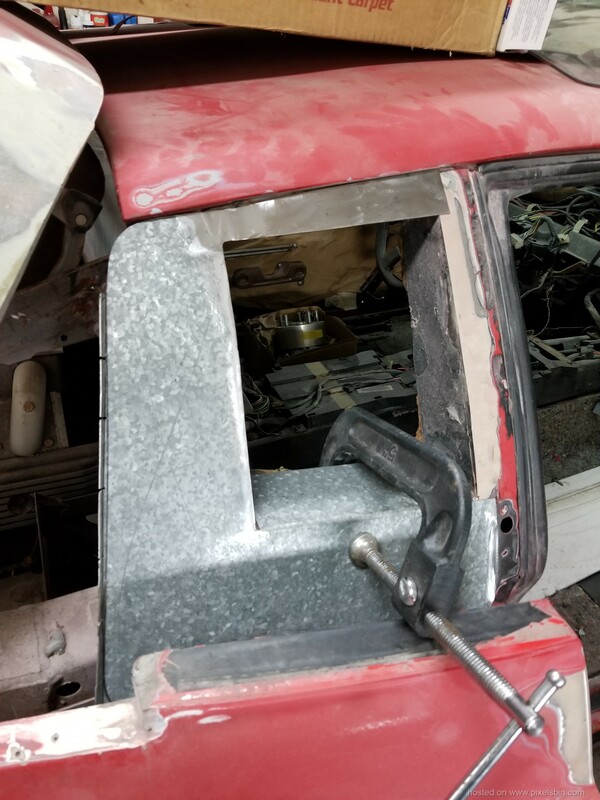 along with the Testarossa I am building a monster 5 ton international, a 88 porsche 928 s4 restoration, a 1986 chevy 4x4 full build and last but not least I am also in the process of refinishing my Custom dually van. 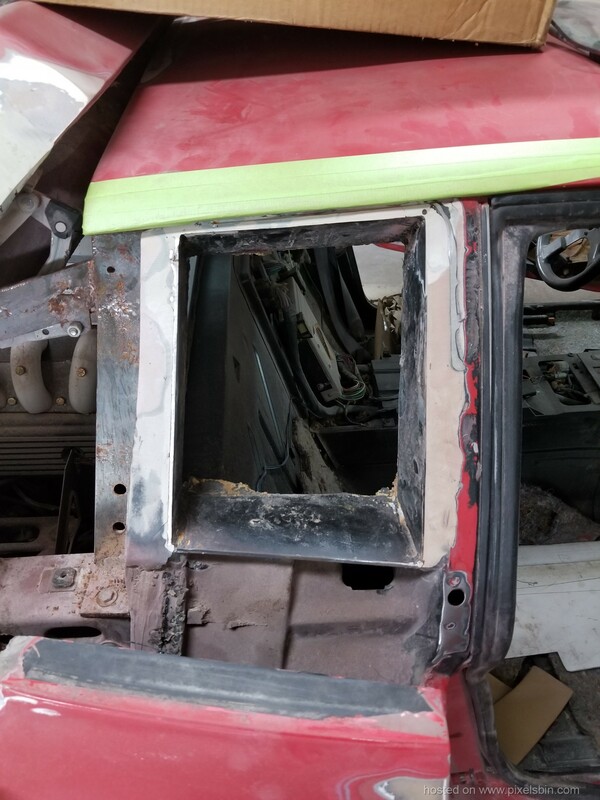 on the Testarossa I have the quarter glass frame work installed and im working on trim panels for the interior to finish the quarter glass on the inside. Ill post some pics in the next couple days. The process of welding zinc/galvanized coated steel. 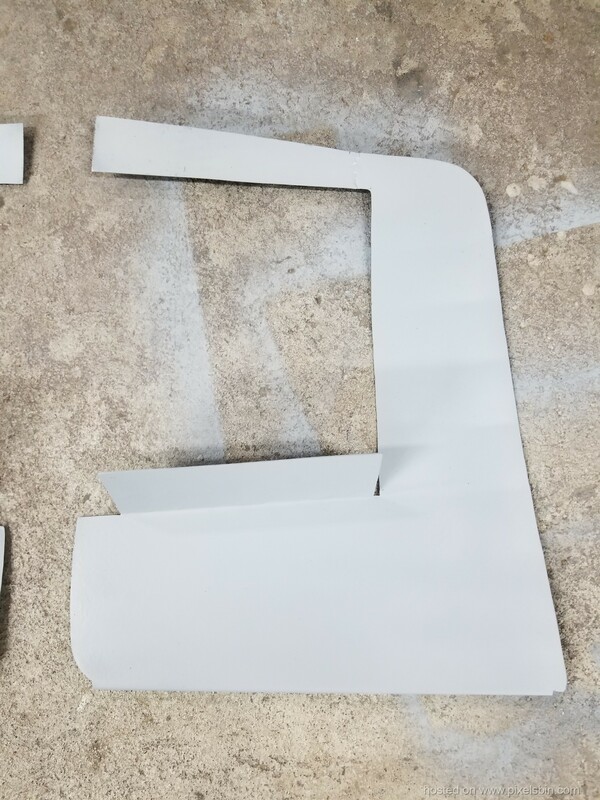 The sheet metal I use has a very thin coating of the zinc galvanizing.But I have used this stuff for years to give an added protection agains rust in places where the otherwise bare metal could be exposed to the elements. If I do weld I simply use a angle grinder with 36 grit disc to grind the zinc off. I have also welded straight through the galvanizing you have to run a hotter weld to burn through and provide a good weld. as with all my paint work I always wear a chemical compliant Respirator. If you want a good read this is produced my Sperko Engineering. used for the suspension cables on the Brooklyn Bridge to gutters on houses. protects the steel even when the coating is damaged in handling or in service. uncoated steel to galvanized steel -- unless the zinc coating is unusually thick. the welding arc temperature is 15,000 to 20,000˚F, the zinc that is near the weld does not stand a chance -- it's vaporized! • The vaporized zinc increases the volume of welding smoke and fumes. • The zinc at and near any welds is actually burned off by the heat of the arc, removing the protective zinc coating. Zinc Fumes -- A Safety Hazard? body. As shown on any multi-vitamin/mineral bottle, the recommended minimum adult intake is 15 mg/day. June 1994, 5-46. Provides summary plus 471 references. playground equipment without a high-qualify top coating. avoiding inhaling zinc oxide fumes are observed. welds on galvanized steel and welds on uncoated steel are of comparable strength if the quality of the welds is comparable. corrosion resistance and other issues that are much more complex than the strength of the weld. wire called “Galvacore” that some users have had good success with when welding galvanized steel. the atmosphere and not be forced through the liquid weld metal. shielding gas blows them away from the welder; this is frequently sufficient to avoid metal fume fever without further action. The prices shown are list prices for purchase of 40 or more; these items are usually available with some discount. some of the hassle associated with meeting these OSHA regulations. to each welder under positive pressure, keeping any welding fumes out of his breathing area. coat the lungs in a short period of time, causing irreversable death. this means that the welder has to move the duct if he moves outside its capture range. vacuum attachments. This can make welding more difficult for the welder. into a convenient work table. be used for fabrication of scaffold components or playground equipment. effect which brings fumes directly into the welder’s breathing zone. the aluminum bronze - again, not a happy situation! Why not galvanize after welding? ends to allow the zinc to flow properly. 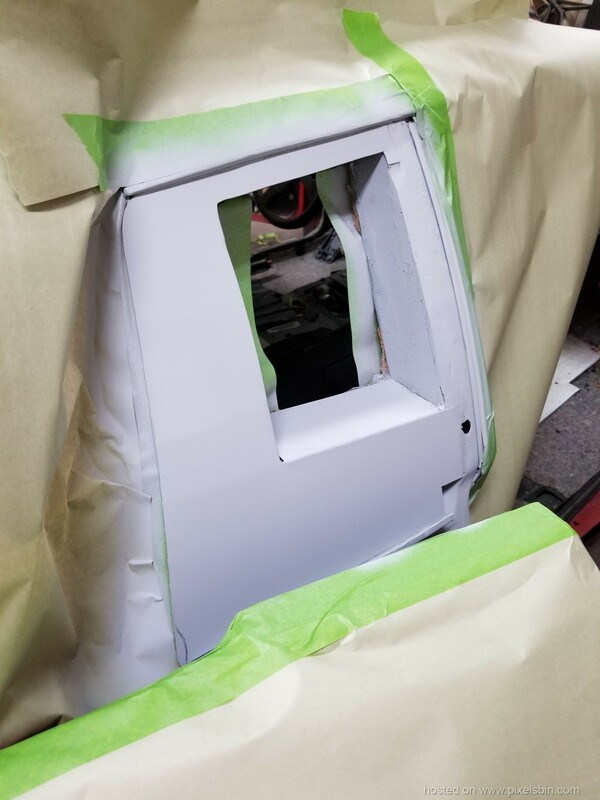 Achieving uniform coverage on any but the simplest fabrication can be very difficult. Finally, the fabricated product has to be able to fit into the pot of molten zinc -- a difficult challenge with large structures. their shapes are simple - no nooks or crannies, no hidden cavities, no place for water to get trapped. coating, especially with powder topcoats, has to be done within 48 hours to avoid difficulty with white rust formations. 1) Galvanized steel can be welded using the same arc welding processes that are being used for fabrication today. 2) Galvanized steel can be arc welded safely with little increase in cost or welder discomfort. zinc or by thermal spraying zinc over the weld areas. a more uniform top coating appearance. I saw that same video Drewbdo. It got a lot of pictures of my car under construction, But my car is still under construction. those finished cars are some that I have seen for sale. I didnt know anything about the video so they hacked pictures off the net. My car was built in Hollywood as one of the replica fill ins for the movie Glass House. Last edited by bodyman; 11-07-2018 at 02:20 PM. 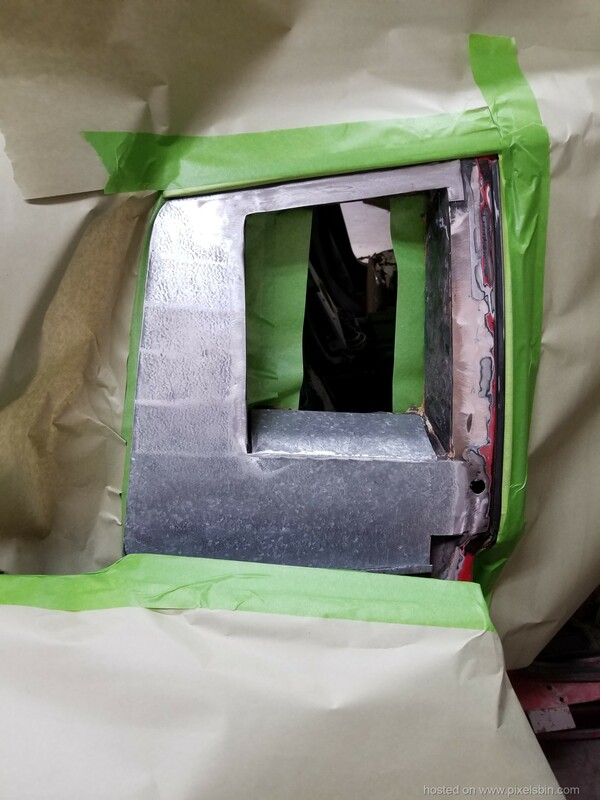 so I have finished out the metal work for the quarter window frames.they are ready for a coat of weld through primer, then I will weld them in permanently. 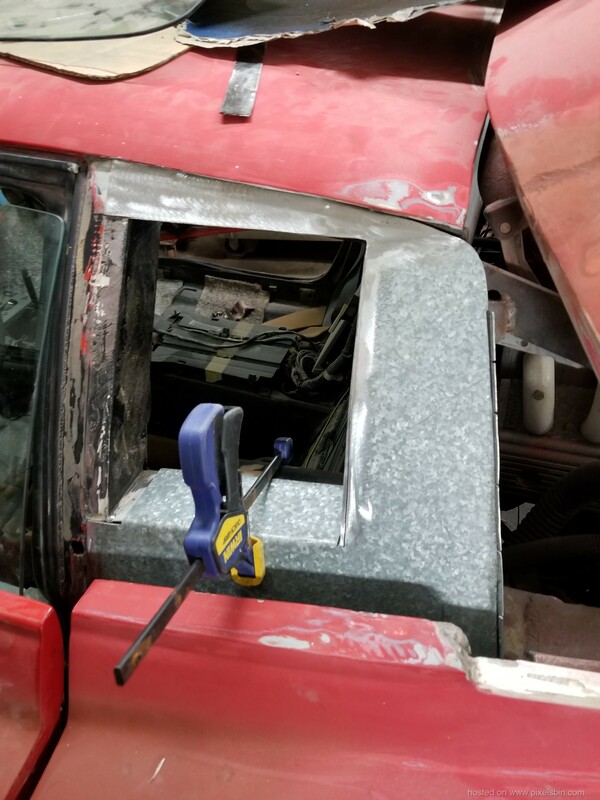 I will make a lower tray to finish out the bottom of the opening. 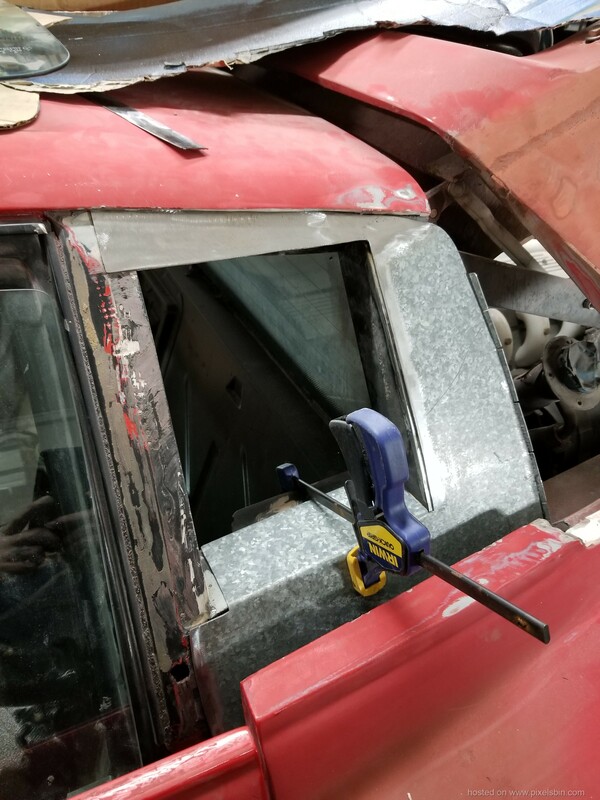 this will be an actual support to hold the glass, when I got it the glass was glued directly to the frame opening with no weight support at all, this is why the drivers side had broken. 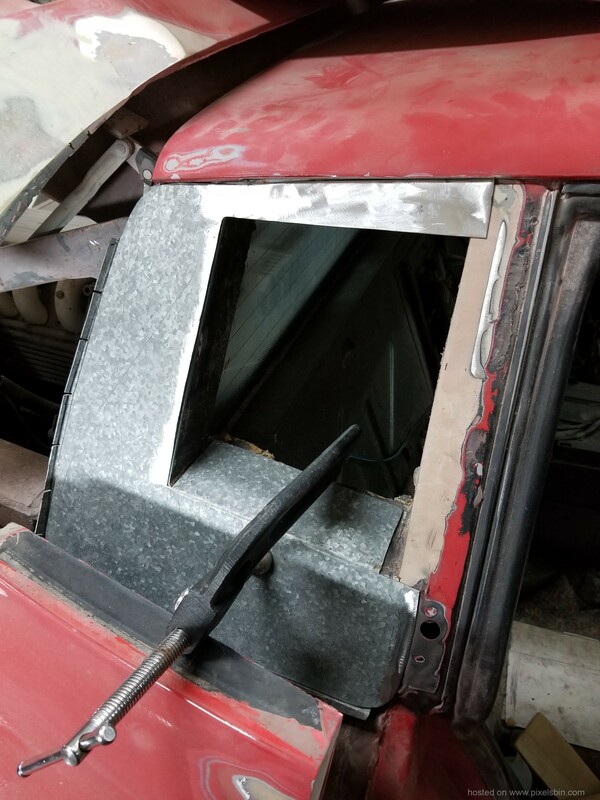 Quarter window progress. Frames are done. 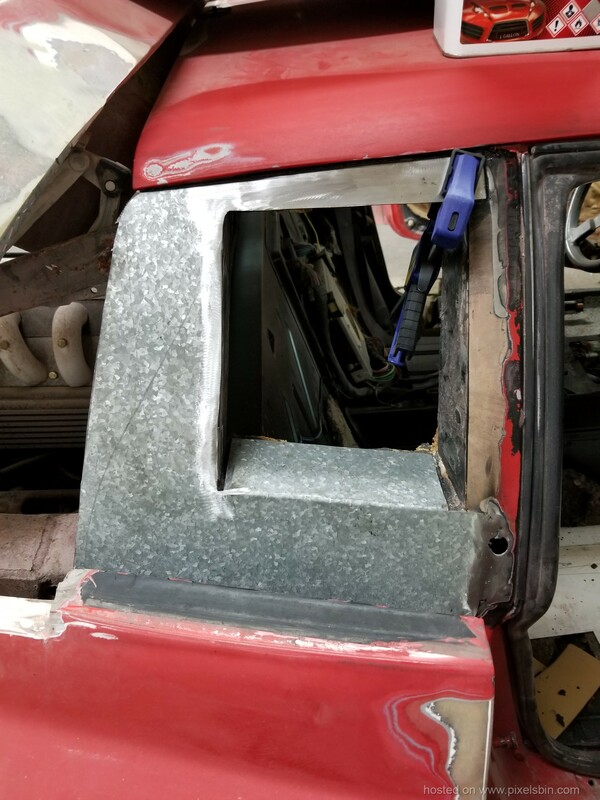 Since the quarter windows actually go behind the quarter panel I had build the window frames and Im going to install the quarter windows befor final fit up of the quarter panels. 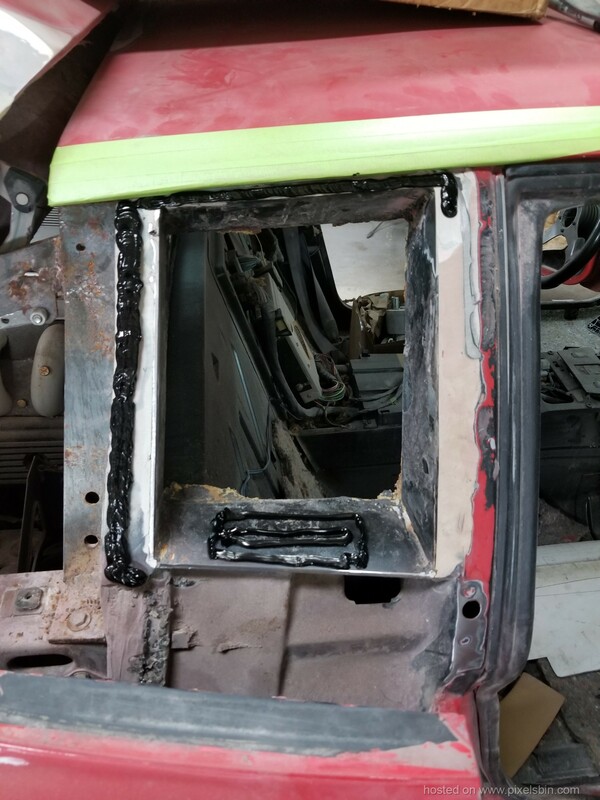 quarter panel frames were primered, welded / urethane glued in and painted. I only pictured the full process of one side to cut down on pictures but the same process was done on both sides. 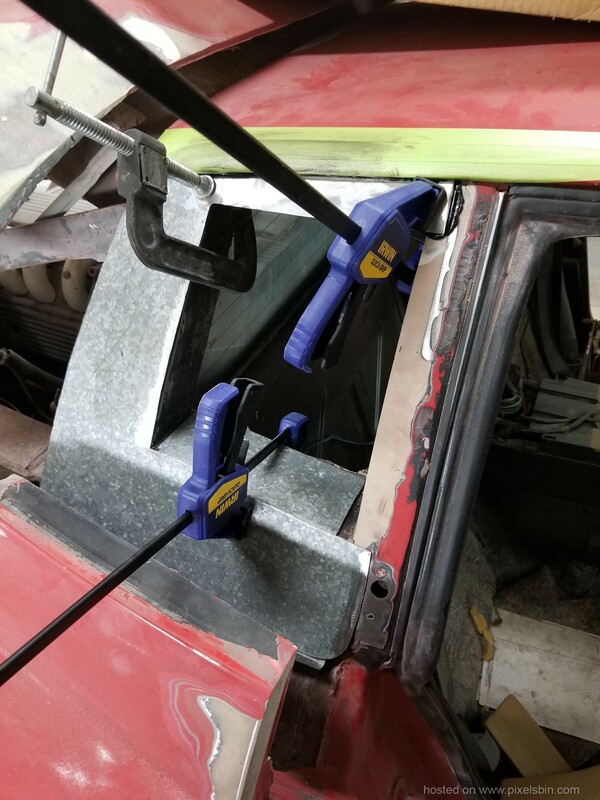 They are now ready for the windows. Last edited by bodyman; 01-07-2019 at 10:34 AM.